Welcome to the Fulton County Detention Center Web site. Our goal is to provide you with useful information about us that we hope makes it easier for us to work together. Feel free to browse around this site. If you have comments or questions about our services, or simply need more information and want to contact us, click on the email button on any page within this site. 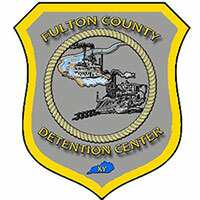 It is the mission of the Fulton County Detention Center to safely and humanely house incarcerated offenders in such a manner as to protect the public, protect the institution and protect the inmates, all while offering offenders the opportunity to better prepare themselves for their return to society through participation in the programs at our facility. Developing and maintaining an ethical, professional, well trained and diverse staff. The Fulton County Detention Center is looking to hire some motivated employees. We are a 525 bed correctional facility located in Hickman, Kentucky which houses both male and female inmates. We offer competitive wages and a full benefit package (insurance, retirement, life insurance, paid sick days and paid vacation days) for full time employees. We do have some limited part time positions available. We work three main shifts (7a-3p, 3p-11p and 11p-7a) and pay is based on a 40 hour work week. A Deputy Jailer must be at least 21 years of age pursuant to jail regulations and standards. Applicants need to have a valid driver's license, as they may be called upon to drive a county owned vehicle, and will also be subject to a background check. As a Deputy Jailer, your responsibilities would be the custody, safety, security and supervision of the incarcerated inmates at our jail. This would entail booking and releasing of inmates, inmate and cell searches, escorting of prisoners inside the facility, transporting of prisons outside the facility and supervision of the inmates while inside the facility. A Deputy Jailer is under the direct supervision of a Sergeant at our facility. If you would like more information, please contact Chief Deputy Jeff Johnson at (270) 236-2405. Applications can be printed online here or picked up in person at the Fulton County Detention Center at 2010 South Seventh Street, Hickman, Kentucky. Completed applications should be turned into Chief Deputy Jeff Johnson during normal business hours (Mon through Friday 7am-3pm). Thank you for your interest and we look forward to hearing from you. Fulton County Detention Center is the sole owner of the information collected on this Web site. We only gather information we need to serve you better and will not - without your consent, - sell, share, or rent this information to others in ways different from what is disclosed in this statement except in cases where in good faith we believe that the law requires us to do so, it is necessary to protect Fulton County Detention Center's rights and/or property, or if circumstances necessitate acting to protect the personal safety of staff or of the public. © 2006 by Fulton County Detention Center.